Easily removes the leaves and hull. Press button to open the poclawpo, insert into the strawberry, twist and pull to remove. Then place the strawberry in the slicer to get 10 even slices. Bring the taste of fresh pasta into your home with this KitchenAid<sup></sup> Stand Mixer attachment set. This 3 piece, all metal set contains a pasta roller, fettuccine cutter and spaghetti cutter. 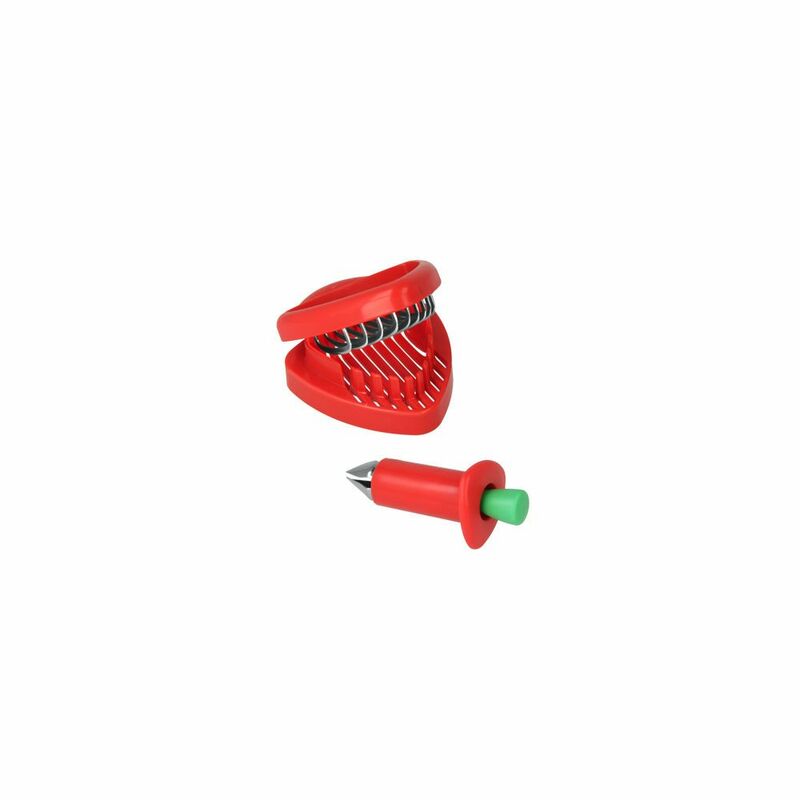 Strawberry Huller And Slicer Set Counseltron series of professional kitchen gadgets and housewares. For professional chefs. The ultimate collection of main kitchen tools such as ladles, spoons, turners and skimmers; essential gadgets like peelers, can openers, corkscrews and graters to sophisticated utensils like tea spoons and serving sets. A complete assortment for every need at the table and in the kitchen.